Magnificent And Extremely Finely Woven Large Size Vintage Silk and Wool Persian Tabriz Rug, Country of Origin / Rug Type: Vintage Persian Rug, Circa Date: Late 20th Century - The majesty conveyed by the exquisite detail of this vintage Persian Tabriz rug will make any room feel important. 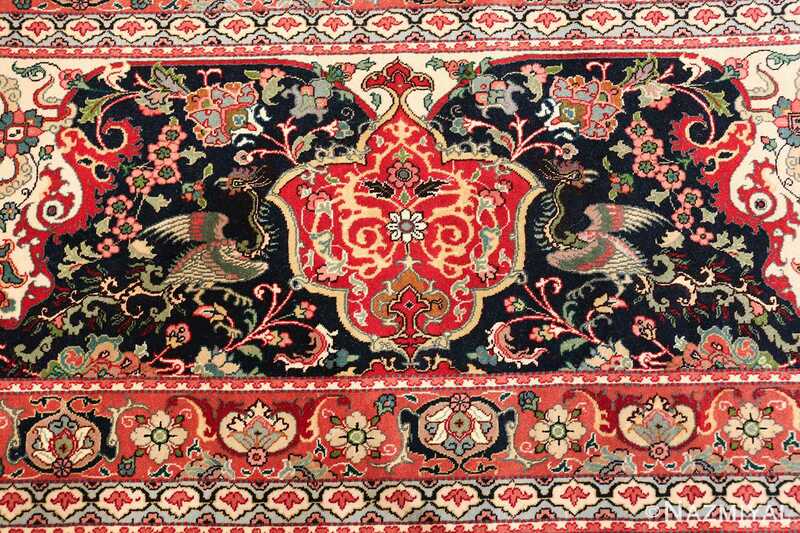 Based on the quality of the weave, the intricacy of the pattern and the magnificent use of colors, this vintage Persian rug can only be described as captivating. 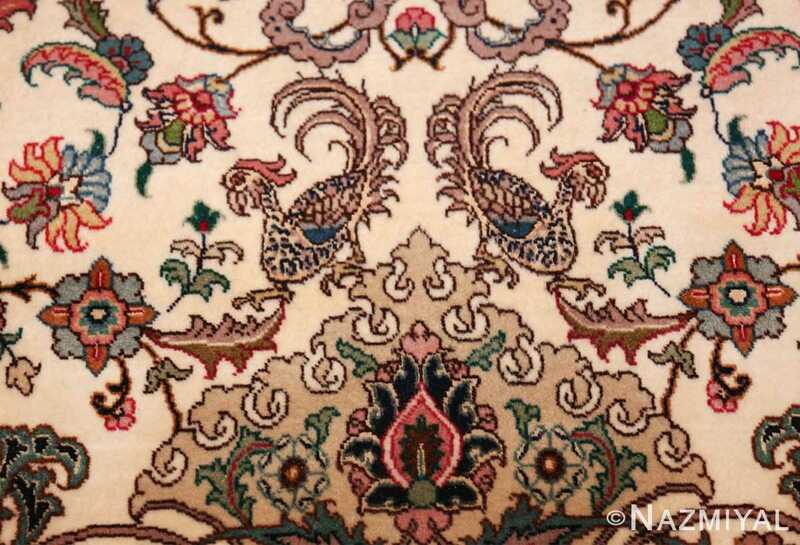 The use of the light colored snowy white background, against which, the more richly colored design patterns are laid out, creates a breathtaking juxtaposition as well as an exciting scene of movement. 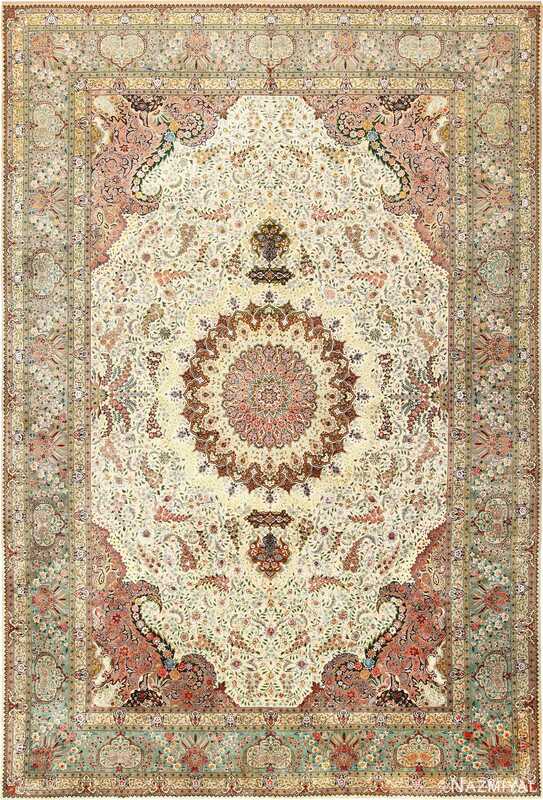 The invigorating central medallion design of this silk and wool rug makes a bold statements. 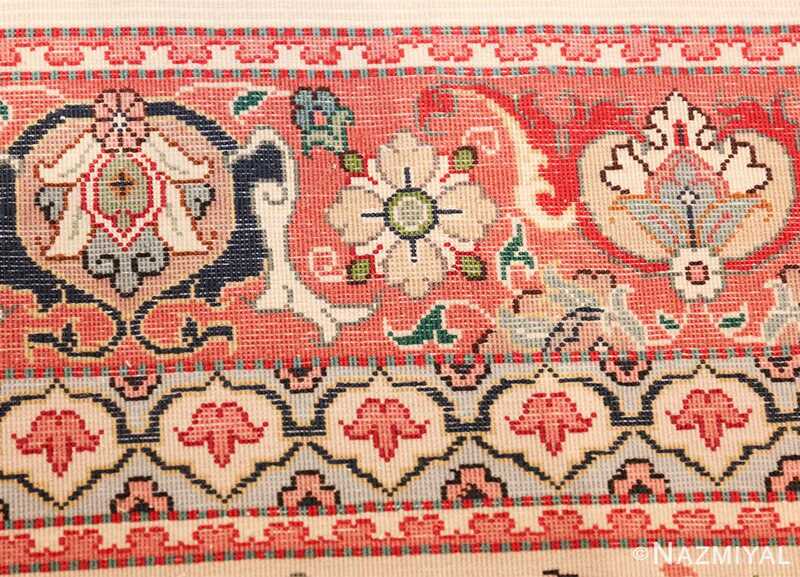 While not mirrored, both the central medallion as well as the main border, incorporate the same approach to their design and coloration. This extremely sophisticated and thought out combination of design and colors create a magnificent artistic tension between the border and medallion. 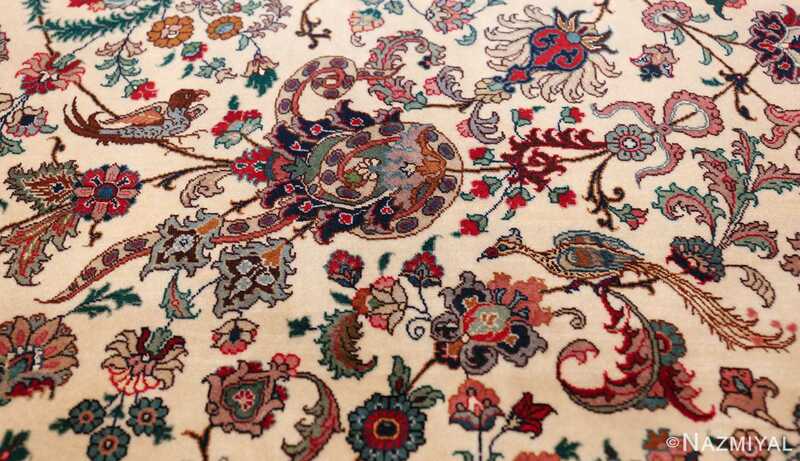 the result is a feeling as though we are pulled into the center of the large size rug and then we radiate outwards with much energy and excitement. 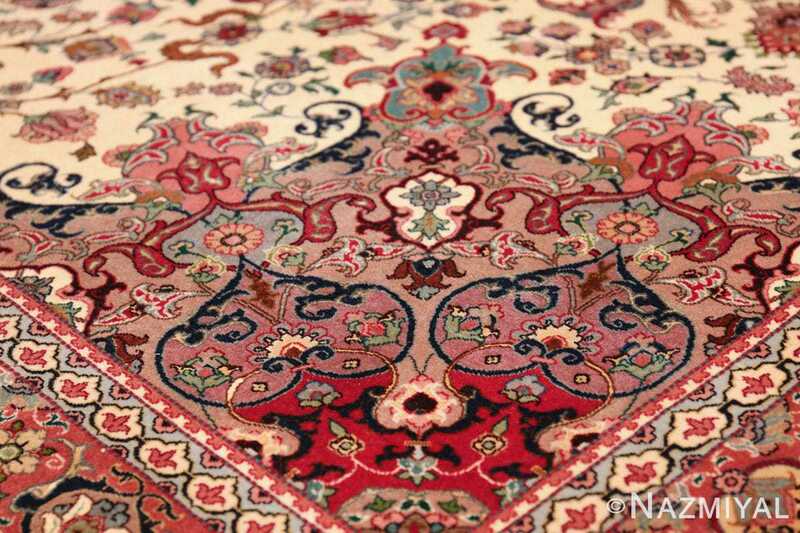 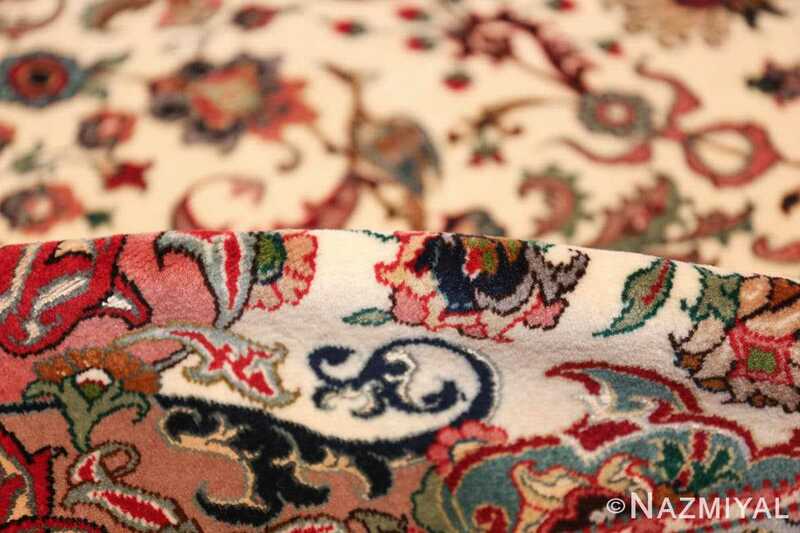 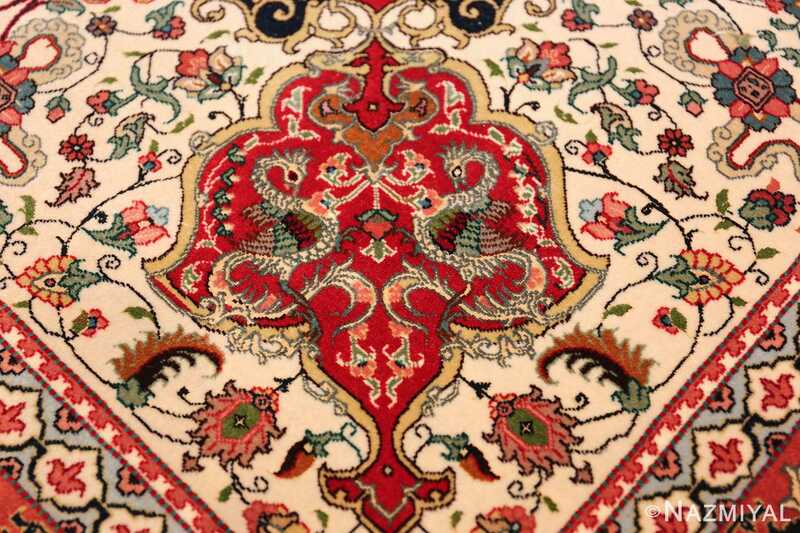 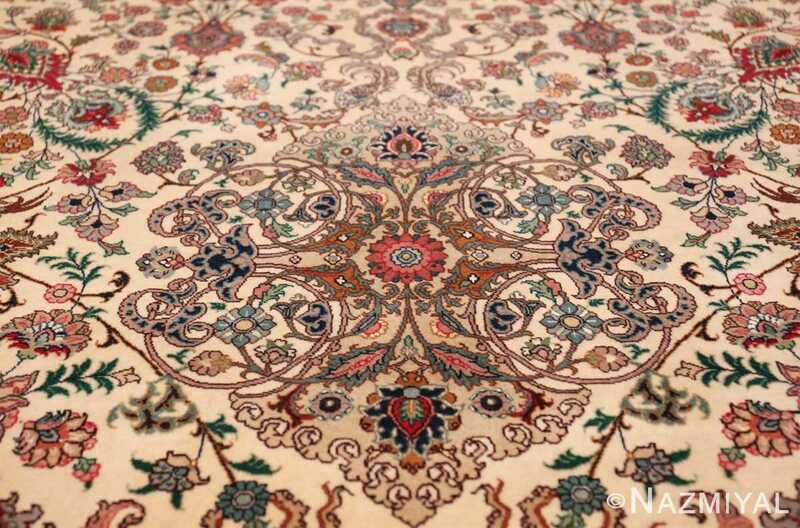 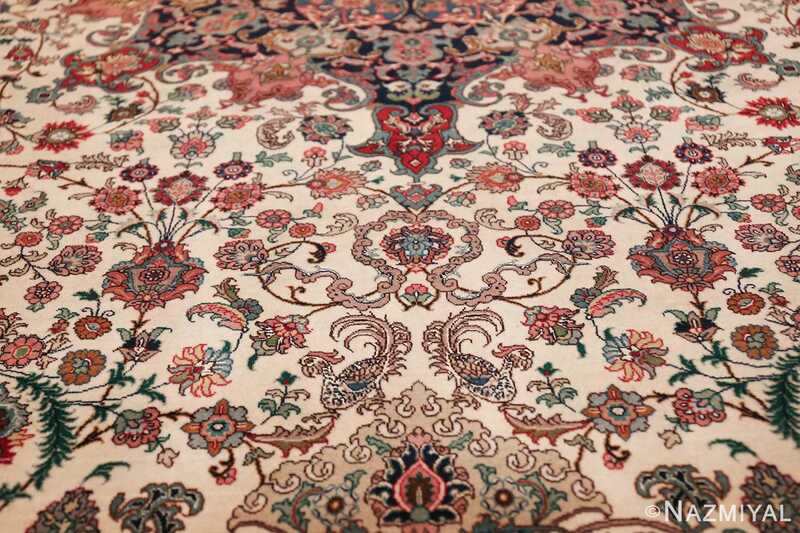 Further emphasizing the central focus of the design are four corner design elements in the body of the Persian rug. 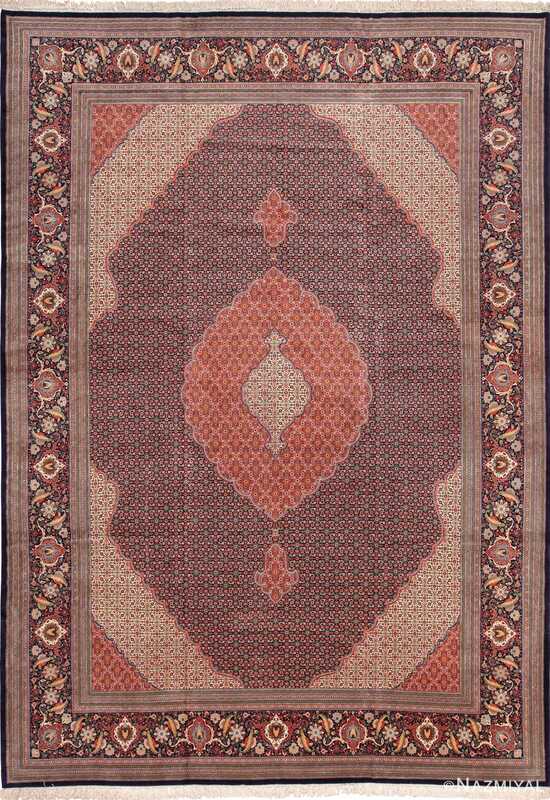 These elements use a darker purplish color that is set against the lighter background of the field. 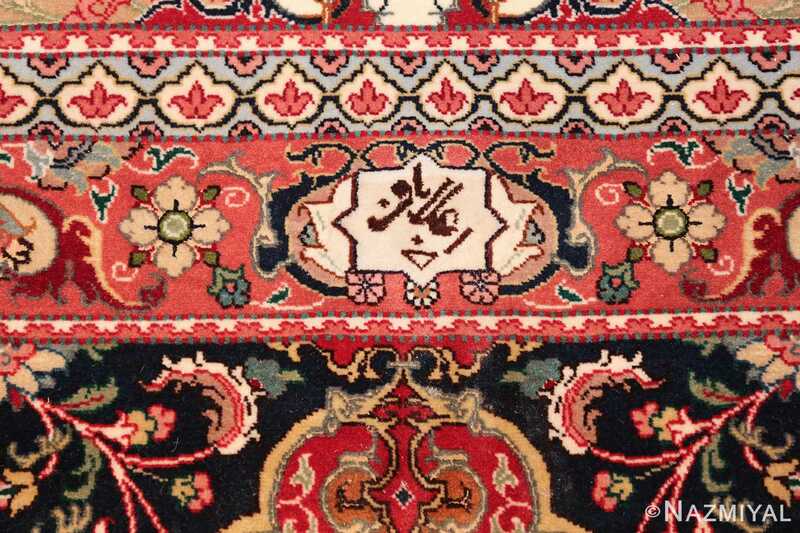 This theme is then reflected in the main border of the rug, only using lighter motifs on a even darker blue colored background. 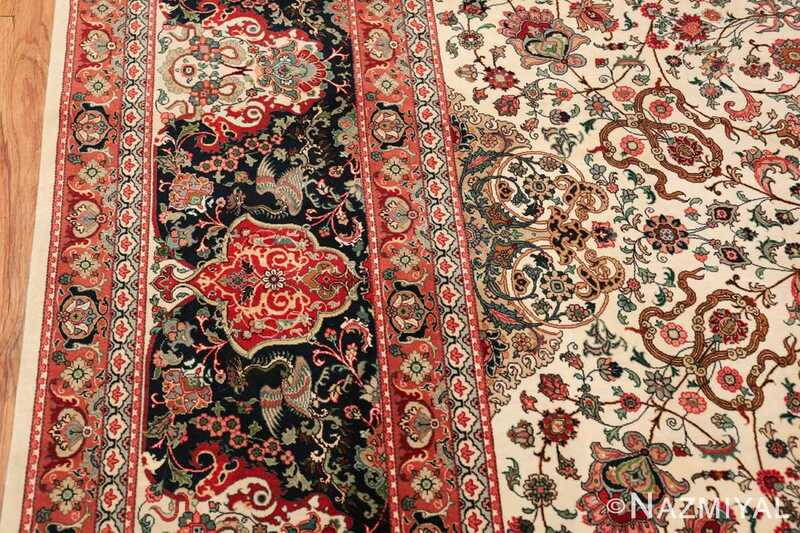 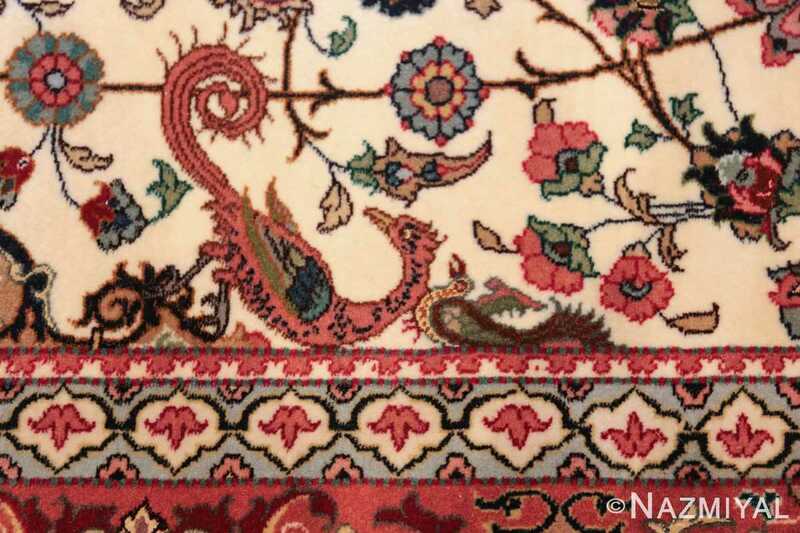 This richly colored border is simply the most perfect way to frame this grand Oriental rug. 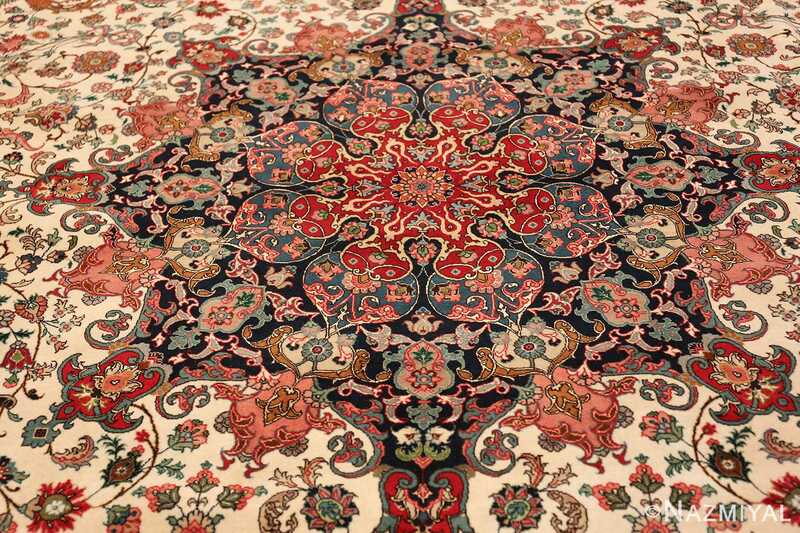 The perfect symmetry of this Silk and Wool Persian Tabriz Rug gives it a sense of formality and a palatial quality. 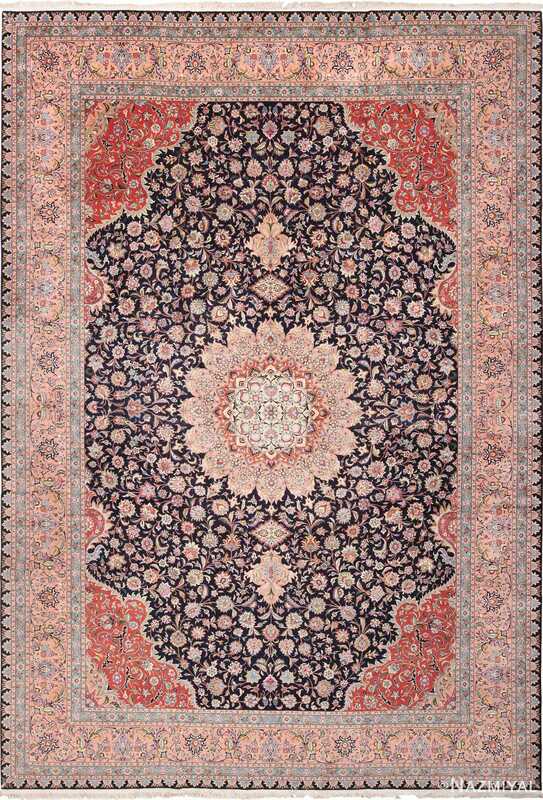 That said, the use of happy and more upbeat colors, make it a strong contender for most interior design approaches. 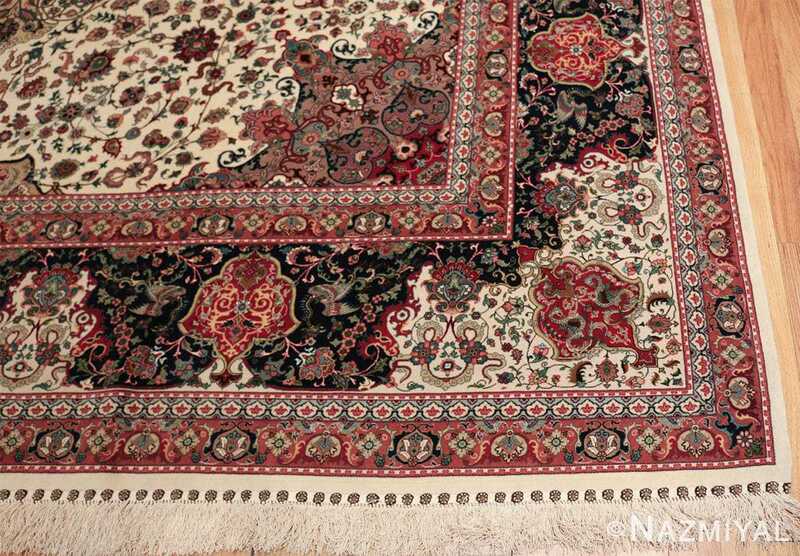 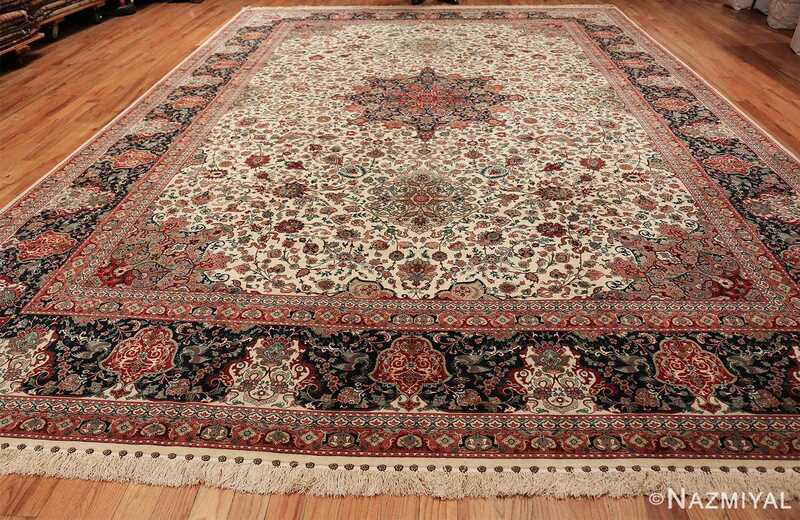 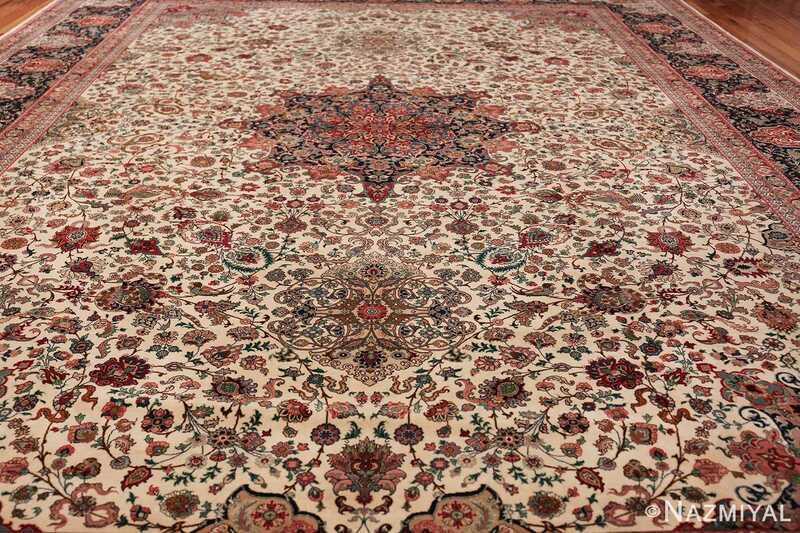 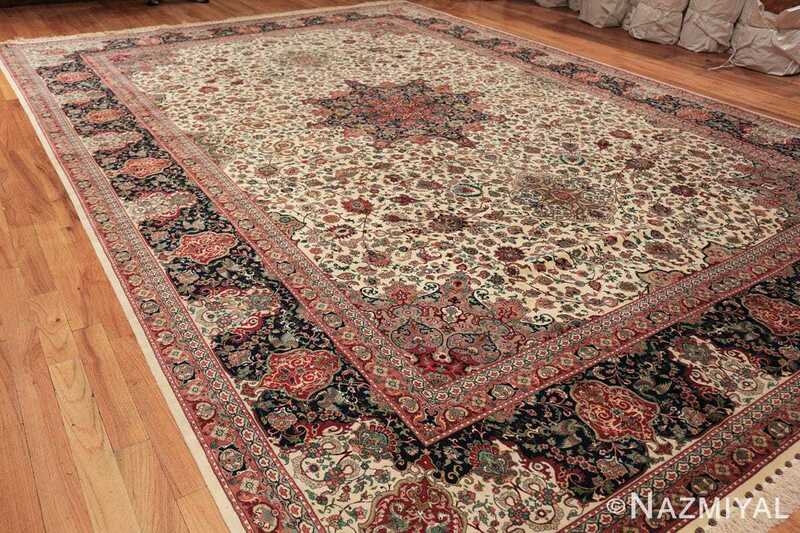 This majestic silk and wool Persian Tabriz rug adds a sense of nobility and class to any home. 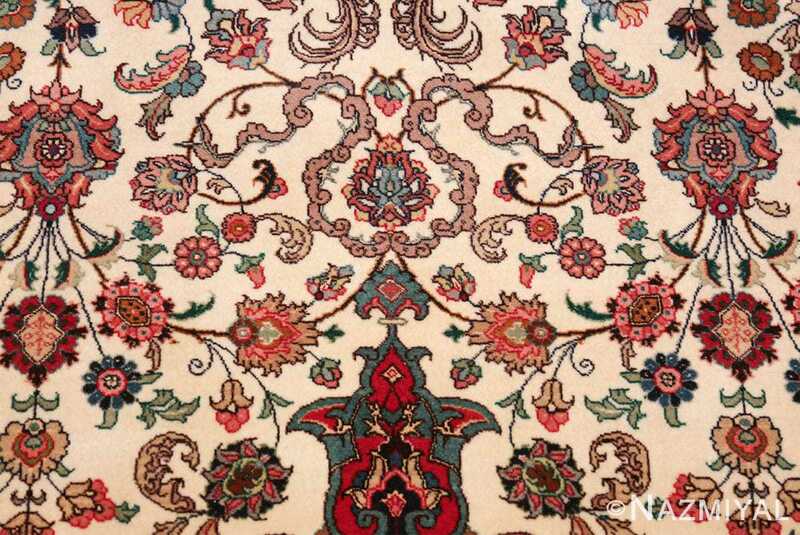 The intricate floral designs, within the larger shapes look like the walls of a grand palace. 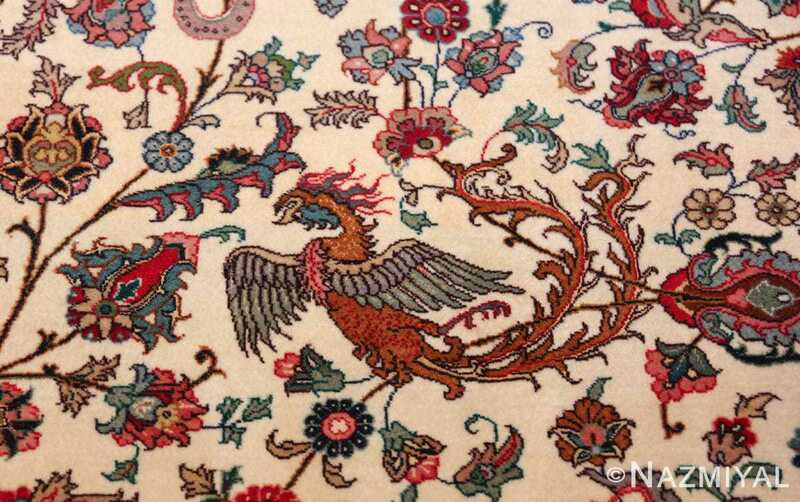 While the additional of the majestic phoenix birds, both in flight and at rest, add to the overall regal quality that separates this vintage carpet from the rest. 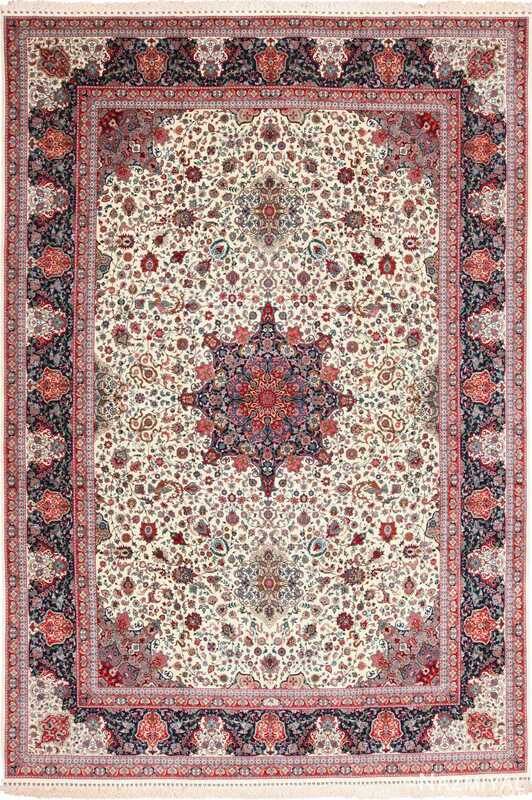 No matter where you put it, this breathtaking silk and wool Persian Tabriz rug will garner much love, attention and appreciation. 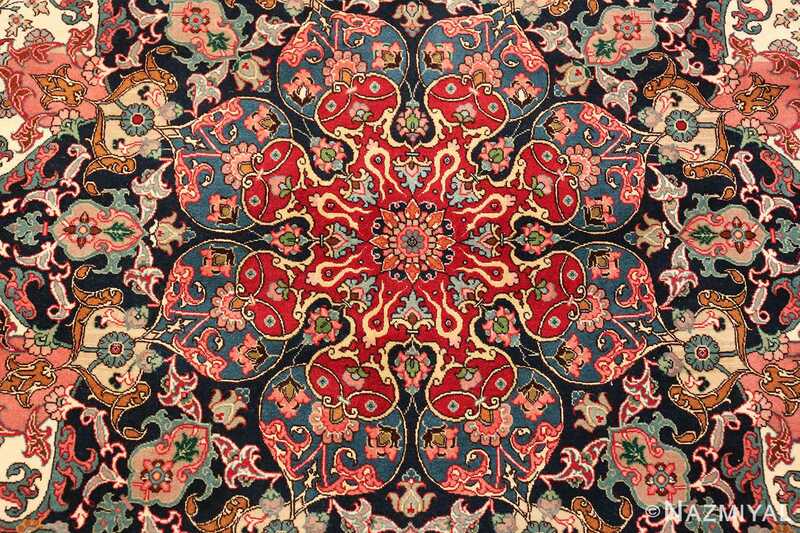 It is a truly spectacular piece and a wonderful work of textile artistry.